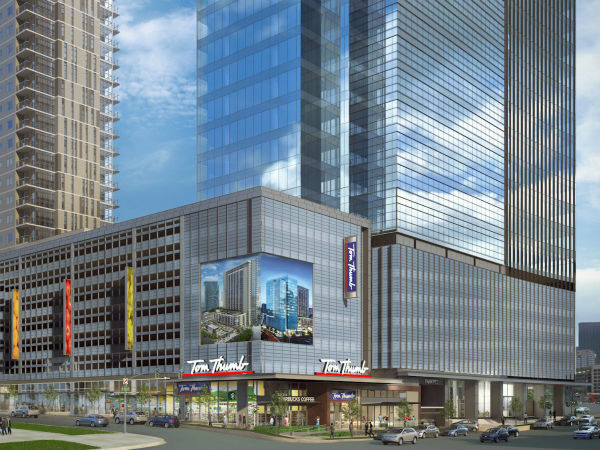 Downtown Dallas makes a major score with the arrival of a new chef-driven market with prepared food to go. Cibo Divino Marketplace, the beloved restaurant and wine-centric marketplace in the Sylvan Thirty center, will open a second location, on the ground floor of Bryan Tower, at 2001 Bryan St.
Called Cibo Divino Centro, it will go into a highly under-served neighborhood on the northern part of downtown Dallas, an area where there are limited options for decent dining. According to chef Daniele Puleo, who owns Cibo Divino with his wife Christina, the new location will open in the spring. Puleo is a native of Sicily who moved to Dallas from Los Angeles in the '90s and operated acclaimed restaurants such as Daniele Osteria on Oak Lawn, and Inzo Italian Kitchen in Roanoke and Fort Worth. He and Christina founded Cibo Divino in 2015 as a congenial place to shop and eat. 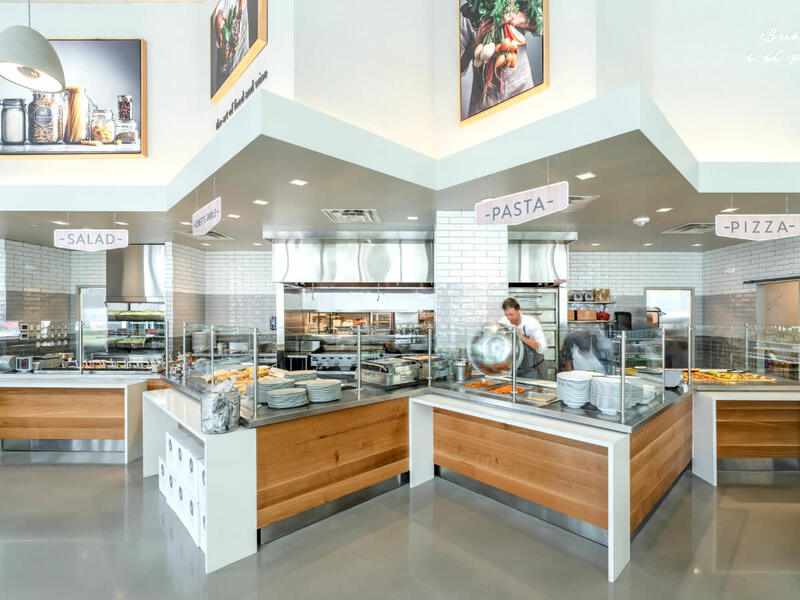 They have a prepared-food case of Italian items such as panini, housemade pastas, salads, appetizers, entrées, desserts, charcuterie, and cheese trays. There's excellent pizza baked to order, and they're a big wine hangout, offering deals on wines by the glass. More recently, the couple launched their own wine label. Puleo says Cibo Divino Centro will be similar, though not identical, to the original location in West Dallas. "It's another marketplace, but we're going 2.0," he says. "I was attracted to the idea because there are 3,000 people working in that building who could use something good to eat." The space won't have a full kitchen, but they'll do salads and sandwiches made to order, plus pizzas and a full case of prepared foods. "You'll go down the line and point out what you want," he says. The wine component will allow customers to sit down and have a glass or take a bottle to go. Since the worker population is their primary focus, they won't keep late-night hours, staying open until about 7 pm. "We'll do breakfast and lunch, and then wait for people to leave their offices who want to get food to go and leave," he says. "We'll also offer a happy hour from 4-7 pm, where you can come down and have a beer and glass of wine." Construction is just beginning, and it will include the addition of a 3,000-square-foot patio in front of the building. "The place is going to be incredible," Daniele says. "We're working with designer Ron Guest, who did our Sylvan Thirty store, and we're building a beautiful and great patio. We face the DART Rail line so the subway goes by the front of our building and it reminds me of New York. Having the subway pass by always gives me that sensation that it's an urban space, and we fell in love with the idea."